I grew up in a boxing family in the sense that my grandfather was a former professional boxer in the 30s and 40s and I learned at a young age to both appreciate the sport for it's finesse and to throw a punch. The sport of boxing however has gone the way of the dodo bird in terms of it's former grace and beauty. This might be a product of all the barbaric MMA spectacles which I absolutely abhor. 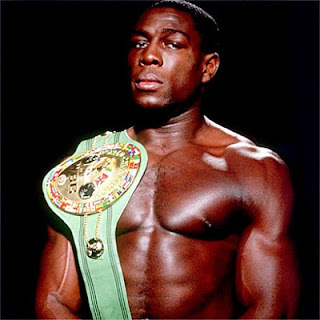 Boxing's golden age is debatable of course particularly in terms of the heavyweight division. The earlier years of Jack Johnson, John L. Sullivan and during the World War era fighters like Harry Greb, Gene Tunney and the German Max Schmeling. 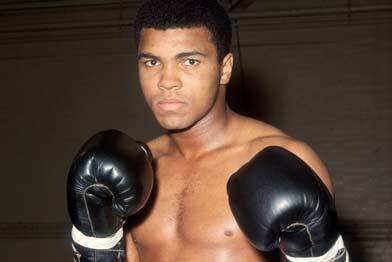 In my opinion America's greatest athlete of all time is Muhammed Ali. His combination of physical ferocity, political activism and entertainment has never and will never be equaled again. Ever. Ali at the prime of his career sacrificed millions of dollars and mainstream American admiration to protest the Vietnam War. It's his greatest act of heroism but one that most are unaware of. The heavyweight division steered clear of boxing and became about punching when the young Mike Tyson arrived on the scene. Tyson's fights were typically short and brutal. Usually all Tyson needed was one good shot to end it and it was in that era that the sweet science gave way to bulky stone jawed men that could take and land punches with ferocity. Ever the tragic end to Tyson's reign the Heavyweight World Championships became boxing's most ignoble division. Names of has-beens and never-weres. Frank Bruno is one such fighter. His impressive fight record of 40-5, 38 by knockout aside, Bruno was not a star. He lost to Tyson both times they fought, taking the title from another name you never heard, Oliver McCall. His reign as the WBC champion was only 6 months and he lost it in his first defense. 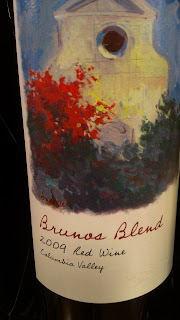 A real Bruno worthy of our talk, is the namesake of today's Friday Find, the Bruno's Blend from VaPiano Vineyards. The wine is named for a former fixture at Gonzaga University Father Bruno Segatta, his story is here. Typically, this heavyweight bargain, is a blend the has been non vintage but in 2009 the fruit was such that winemaker Justin Wylie made it a vintage wine. (It should be noted that 2010 is a Cabernet as opposed to a labeled blend.) The blend of mostly Cabernet, Merlot, and smaller parts Syrah and Cabernet Franc along with a fair bit of new oak result in a smoky and spicy wine. Lots of blackberry on this one in terms of aromatics and flavors. Very enjoyable wine for the price at $20 most places and usually fairly available.